Mary Bourne (born 1963) is an artist based in the rural North East of Scotland. 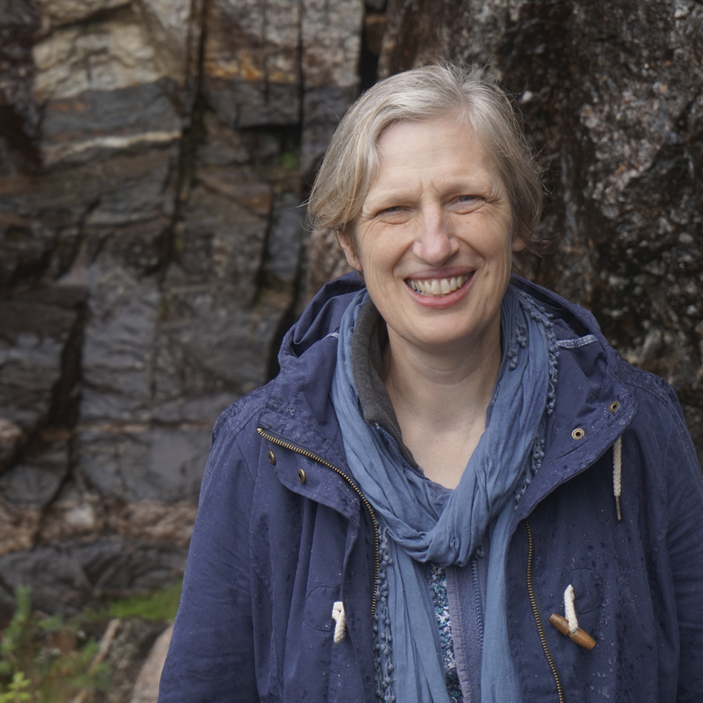 Trained at Edinburgh College of Art and a John Kinross Scholar in 1985, her professional experience has included numerous public commissions, including interpretative artworks at Bennachie, Aberdeenshire; Mallerstang, East Cumbria and Mugdock Country Park, Milngavie. She has worked with high profile architects like Page/Park (Eden Court Theatre) and Malcolm Fraser (Scottish Poetry Library), as well as with the Scottish Historic Buildings Trust and Historic Environment Scotland on a contemporary carving project for the 16th century Riddle’s Court on Edinburgh’s Royal Mile. Earlier in her career, Mary taught part time at Edinburgh College of Art and Gray’s School of Art, Aberdeen and she has led numerous education projects, including stone carving master classes at the Yorkshire Sculpture Park. More recently she devised and managed the Mortlach Story Walks project in Dufftown in collaboration with the local school and footpath charity. This cross-curricular, place-based learning project involved multiple partners and employed the arts as its principal means of expression. Children worked with arts professionals to interpret their own place for others and as a result of their work the school won a number of awards. Mary has exhibited widely in Britain and abroad. She has received a number of prizes and awards including the Meyer Oppenheim Award (1997) and Ireland Alloys Award (1996), both from the Royal Scottish Academy. Internationally, she has been an invited participant at symposia in America and Japan. Mary has contributed to the Scottish art scene through membership of a number of voluntary committees and organisations. She was involved in the very early stages of setting up Edinburgh Sculpture Workshop, was a Trustee of the Scottish Sculpture Trust and Chair of the Scottish Sculpture Workshop during a period of re-visioning and organisational restructuring. She also served on the Exhibitions Panel and Visual Arts Committee for the Scottish Arts Council and was Chair of Deveron Projects in Huntly for a number of years.